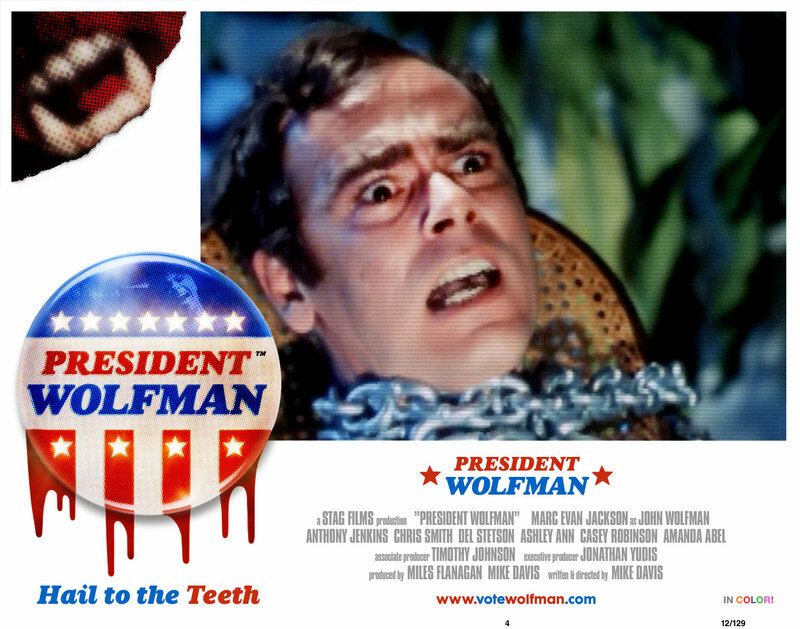 “PRESIDENT WOLFMAN” - The new Award Winning feature from STAG FILMS and the partnership of acclaimed writer/director MIKE DAVIS and co-producer MILES FLANAGAN. Made entirely from recycled, stock & public domain footage with a newly scripted, scored & re-voiced soundtrack with enhanced visuals & post production. You’ve simply never seen anything like it before. Based on the life of President John Wolfman it’s an OTT political satire (with lashings of horror). 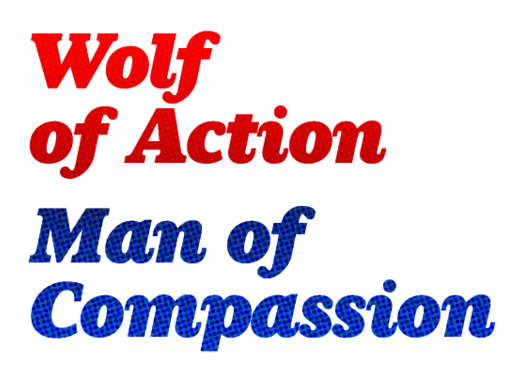 Meet John Wolfman – politician, single parent & werewolf. A man whose (hairy) hands are definitely full. Not only is he trying to stop his opponents from selling the US to China (by way of the controversial CHIMERICA Bill), but also solve a series of grizzly murders in the capitol. Add to this a crazed Mad Scientist, Smokey the Bear, a Miss Teen Beauty Pageant and a race against time to save his 8 year old son Bobby Wolfman from a murderous Vice President and you have one helluva movie.